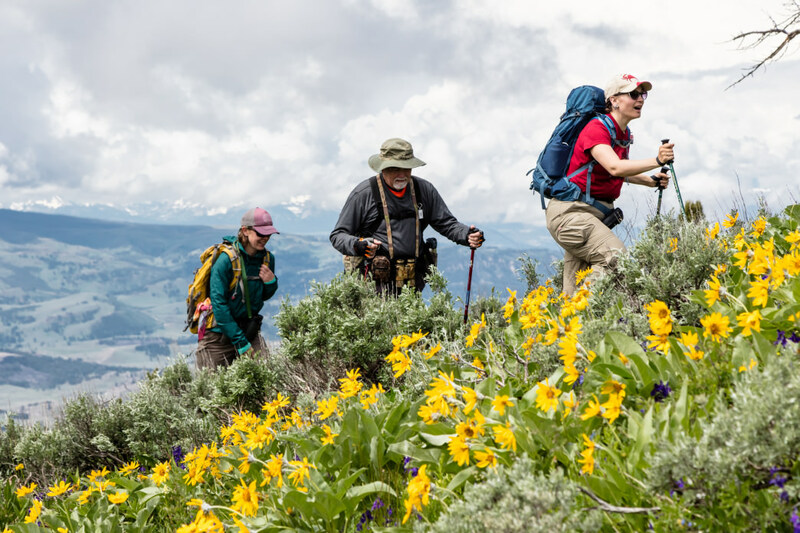 Whether it’s your first visit to Gardiner, Montana or your 50th, this small but lively gateway town to Yellowstone National Park offers the perfect opportunity for a fun-filled extended weekend. 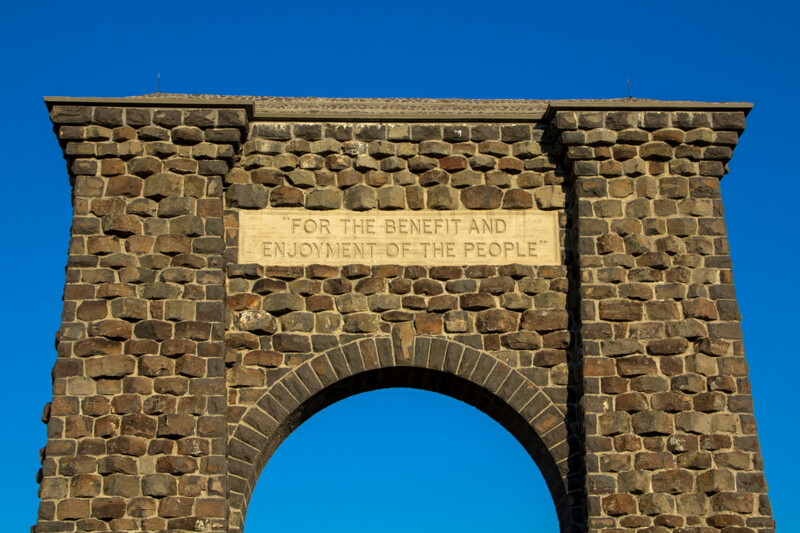 Tucked into Montana’s southwest corner a couple of miles from the Wyoming border, Gardiner features the historic stone archway welcoming visitors to Yellowstone. While you could spend weeks exploring the area, a 3-day weekend will give you a taste of what southern Montana has to offer. We put together an itinerary that packs the most punch into three days in Gardiner. You won’t be disappointed. Start your first morning easy with a tasty breakfast at the Wonderland Café or Yellowstone Grill before heading into Yellowstone. Pick up a sandwich or wrap to go at Subway when filling up your gas tank at Kremer’s Conoco before heading to the park entrance. After purchasing a Yellowstone National Park pass ($35 for a private vehicle) at the entrance gate, drive approximately 15 minutes up to Mammoth Hot Springs to check out the colorful travertine terraces by walking around on wooden boardwalks. Here, you can take a self-guided tour of historic Fort Yellowstone, structures that used to house members of the U.S. Army in the late 1800s and early 1900s, by following the interpretive signage. Explore the Horace Albright Visitor Center, located inside a building in Fort Yellowstone, where you can find information on Mammoth and other areas in Yellowstone. Enjoy a picnic-table-style lunch before heading back down to the town of Gardiner. On your way back, stop at the Boiling River where hot spring runoff mixes with the cold water of the Gardner River, offering visitors a chance to soak. Be sure to check current conditions as Boiling River is closed during early spring and unsafe periods of high water. Return to Gardiner to enjoy an afternoon coffee or ice cream at the Yellowstone Perk, located on Park Street, or Tumbleweed Café before a sit-down dinner at the Raven Grill and a good night’s sleep at one of Gardiner’s many lodging options, some with patios overlooking the Yellowstone River. 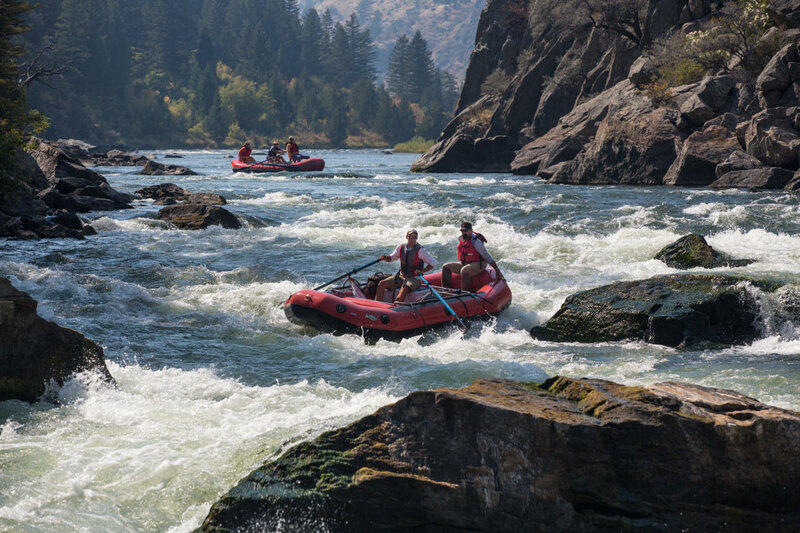 After a restful evening, wake up on Day 2 and head out for whitewater rafting on the Yellowstone River—a class 3, family-friendly trip that features both scenic floating and splashy rapids. Local guides Montana Whitewater or Paradise Adventure Company both offer a variety of trips to choose from. Montana Whitewater also offers zipline tours, while the Paradise Adventure Company has options with guided hiking tours. Both companies offer rafting packages paired with horseback riding. After working up an appetite outside, fuel up with a tasty lunch at The Corral, which specializes in locally sourced buffalo burgers and delicious milkshakes. Spend a relaxing afternoon exploring Gardiner’s downtown shops and art studios in search of postcards, T-shirts, Western clothing, artwork, and souvenirs. At Yellowstone Forever on Park Street near the Roosevelt Arch, you can shop for books and other educational products and see the skulls of different types of wildlife. Make sure to check out the store’s electronic map of different animal sightings throughout Yellowstone in anticipation of your next day of exploration. For an easy dinner, order a pizza to-go from either K-Bar Pizza or the Yellowstone Pizza Company. On the way back to your hotel, stop by the Gardiner Market for iced coffee, fruit, and other snacks for an early morning wildlife watching in northern Yellowstone. Get a good night’s sleep as Day 3 has an early start! Wake up bright and early this morning before sunrise to see the wildlife between Gardiner and the park’s northeast entrance in the Lamar Valley and surrounding area known as the Northern Range. Elk, bison, deer, pronghorn, and sometimes even moose roam the open valleys, which are also inhabited by black and grizzly bears and gray wolves. Be sure to bring binoculars to view wildlife from afar. Rent or purchase bear spray if you plan to stray far from your vehicle and take a moment to learn about its proper use. One of the best ways to find and learn about Yellowstone’s wildlife is to hire an expert wildlife-watching guide. Most companies offering wildlife-watching tours provide high-powered spotting scopes, binoculars, transportation, and meals or snacks—making planning a breeze. After a morning of observing wildlife from the side of the road, take a moment to stretch your legs on one of the area’s scenic day hikes. You can’t go wrong with a trip to the beautiful, high-elevation Trout Lake; Slough Creek, a world-class fishing stream; or at the Yellowstone River Picnic Area, which includes a trail overlooking the colorful Calcite Springs on the banks of the Yellowstone River. After a fun day of enjoying northern Yellowstone, drive home and—if you’re headed north—stop at the Follow Yer’ Nose BBQ in Emigrant, 30 minutes north of Gardiner. You’ll find all manner of tasty barbecue to finish up your day, including pulled pork, brisket, and house-made sausages. We have a feeling that you’ll find your extended weekend so much fun you’ll be planning your next visit to Gardiner before you even leave! Written by Chelsea Deweese for RootsRated Media in partnership with Gardiner CVB.